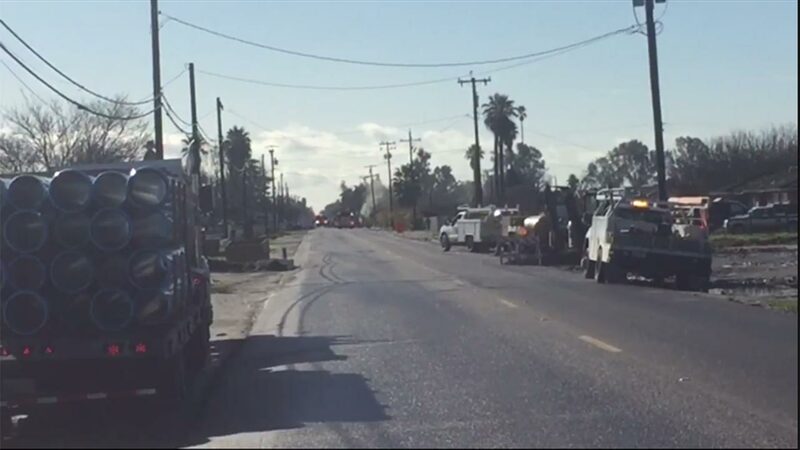 FRESNO COUNTY, California (KFSN) -- Around 9:45 a.m., construction crews hit a 4 inch gas main at Cherry and Central avenues south of Fresno, prompting the evacuation of Orange Center Elementary School. Authorities say PG&E is working to fix the pipe and it is monitoring gas levels at the school. They say the wind is blowing south away from the school.